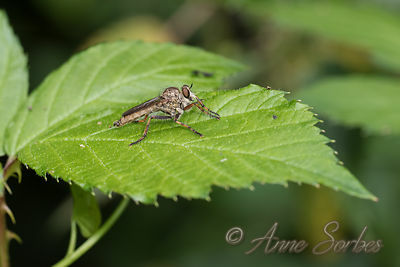 Common Red-legged Robberfly resting on a blade of grass in a small valley near the Baths of Digne-les-Bains. 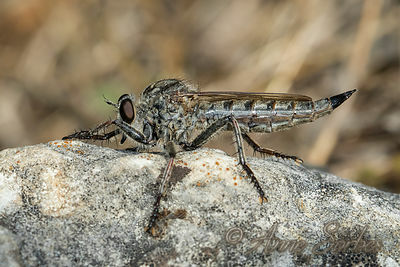 A female robberfly resting on a rock at the summit of an residual hill. 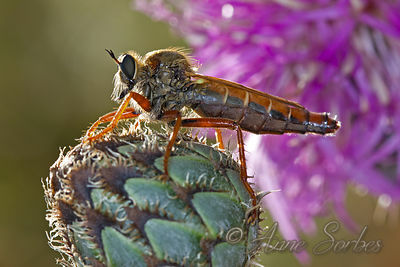 Limousin, France. 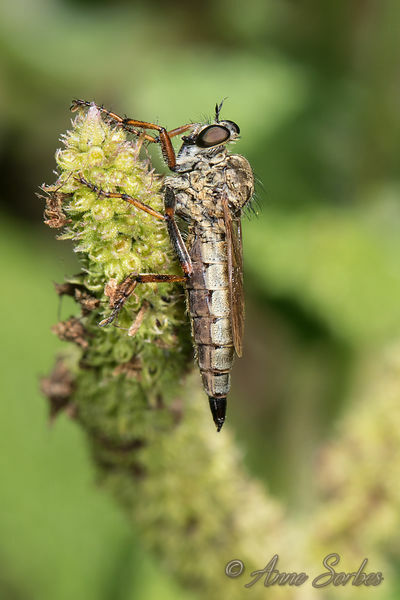 A Robberfly female resting on a scabious knapweed. 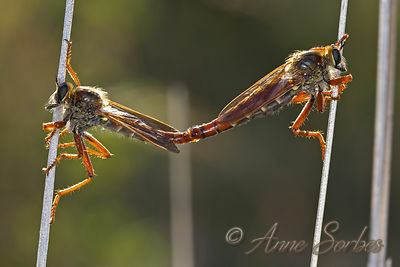 Mating of Robberflies, male left and female right, between two twigs. 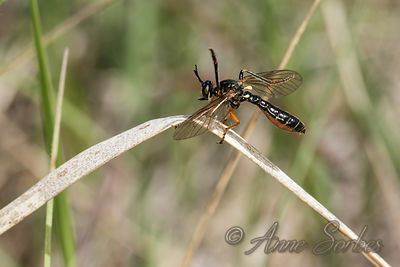 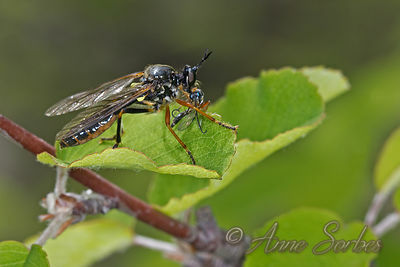 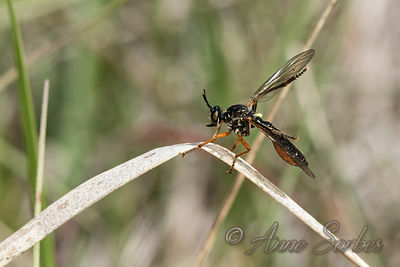 Common Red-legged Robberfly with it's prey, an Ichneumonid wasp on a shrub leaf at the edge of a small path. 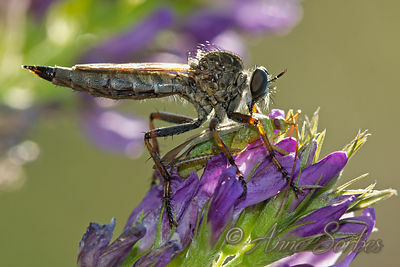 A Robberfly female and it's prey, an unidentified bug on alfalfa flower.